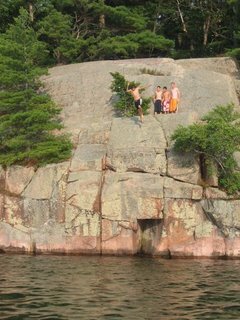 summer cliff jumping at its finest! That is so cool. Have a great weekend. oh that still scares me to think one day my boys will be doing this! ahhh! great pics! still scares me when they do it someplace new!